wags83 wrote: Source of the post So does Al think that Earn brought the gun on purpose to sabotage Clark? That's what it seemed like by the end of their conversation, but it seems like kind of a stretch that he would be counting on running into them and going through TSA at the exact same time. I don't think so. When they were talking, he specifically said something like 'this is one of the things im talking about' for being stupid. It's possible, but I think he just thought he was covering and taking down the manager instead of the rapper. cwilkins88 wrote: Source of the post he specifically said something like 'this is one of the things im talking about' for being stupid. That's what I heard too which initially made me think he was confirming to everyone that he will fire Earn, but then he said things like "nobody gets me like you do" and stuff like that, which made me think he's keeping Earn. Maybe the two statements were unrelated. I think he is keeping him now, but before wasn't going to? I should hope so with the cliffhanger of an ending season 2 had. When I was watching, I didn't realize that was already the season finale. 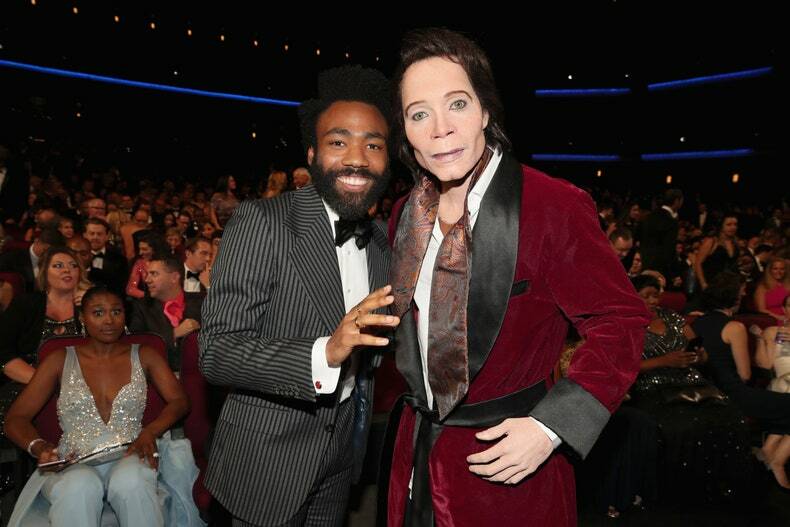 Donald Glover dressed up as his character Teddy Perkins at the Emmys. 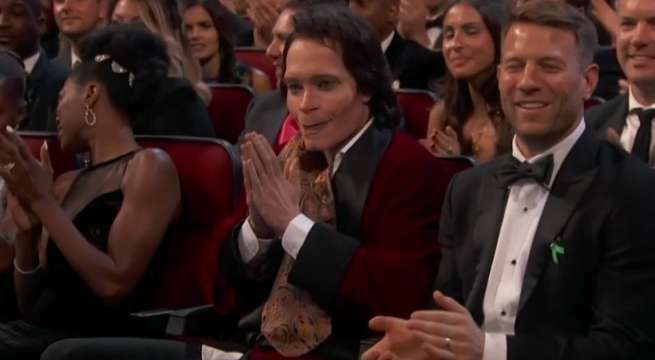 Who Came in Character as Teddy Perkins, Atlanta’s Scariest Character? It’s not Donald Glover, or Lakeith Stanfield. Whoever he may be, let this Atlanta-inspired image forever haunt your dreams. I like the theory that it was Joel McHale based on the height, but the internet was quick to point out that it's a black man under the makeup. Man, that article makes it seem pretty uncertain that Atlanta is even coming back at all. It says they're writing still, so I guess that's good. The 4 main characters from this show really blew up this year. I'm not surprised to hear it's delayed. I can wait, but I hope it does come back eventually.